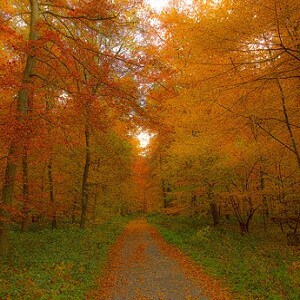 Deciduous forest facts teach us that the leaves of the trees in these beautiful forests change color in the fall to a mesmerizing array of reds, oranges and yellows. They then drop off the trees in winter, and grow again as new green leaves in spring. These new leaves capture light from the sun, converting it into energy through the process of photosynthesis. 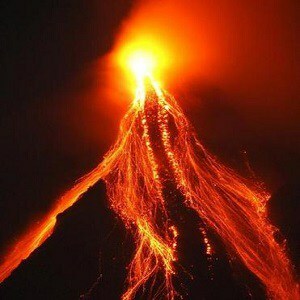 Some of this energy is used to produce flowers, which are necessary for reproduction. Deciduous forests are bare during winter because if the leaves remained on the trees, the water in the leaves would freeze, causing the leaves to rot and leaving the trees vulnerable to bacteria and fungi. To prevent the water in plant stems freezing during winter, plants produce a sugary solution that helps them to survive the harsh colder weather. Similarly, the trees often contain sap to prevent their roots freezing during winter. These forests illustrate the different seasons with an ever-changing color palette, not for aesthetic beauty, but for survival purposes. One of the more interesting deciduous forest facts is that the majority of animals in this biome use camouflage to blend in with their environment. In particular, these animals tend to blend into the ground. It’s quite a sneaky trick that these critters perform! Depending on the animal in question, this adaptation enables them to escape predators more readily, or to hunt more effectively. With regards to insects, they tend to camouflage into the environment by resembling twigs, leaves, or other aspects of their surroundings. So, if you see the foliage moving, it might not be the breeze – the leaves might just have little legs! Animals living in deciduous forests have to adapt to the changes in seasons if they are to survive. 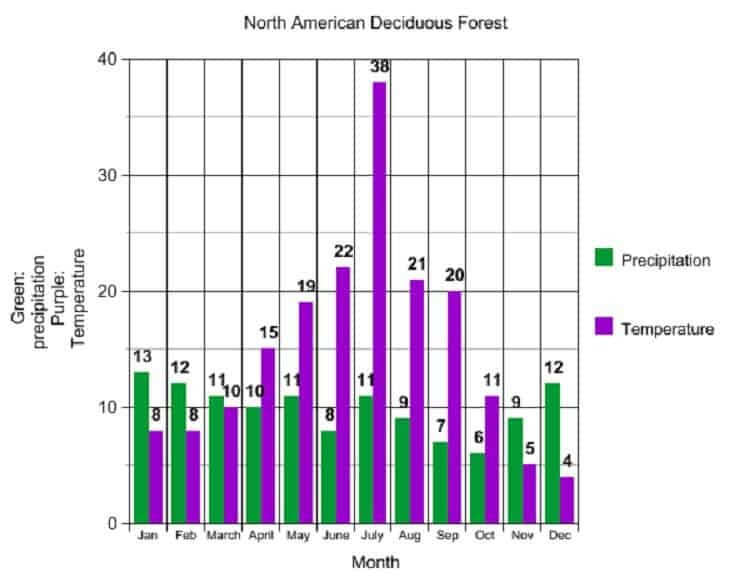 Deciduous forest facts teach us that the winters in this biome are particularly cold. There are several ways in which various animals cope with these extremely low temperatures. Most birds, and many other animals, migrate to warmer climates during winter. Black bears, raccoons, and other animals hibernate for the duration of the winter months (sounds tempting, doesn’t it?). Animals that neither migrate nor hibernate prepare for the winter beforehand, ensuring that they have insulated shelters and stores of food that will last them through the cold weather. One of the more intriguing deciduous forest facts is that there are five layers of vegetation in any deciduous forest. This vegetation includes hardwood trees, such as oak, maple, beech, birch, hickory, and sweet gum trees. The plants in these forests include a wide variety of shrubs, ferns, moss, and lichens. All of these grow in one of five layers or zones: the ground zone, herb zone, shrub zone, small tree and sapling zone, and the tree stratum zone (60 to 100 feet). This list of deciduous forest facts would not be complete without mentioning the high yield of fruits and vegetables in this biome. This is largely due to the fact that these forests enjoy the perfect climate for growing: consistent wetness thanks to lots of rain; a long growing season that lasts half the year; and warm months until the end of summer. So, the next time you’re presented with a delicious fruit salad, give a thought to the beautiful forests that produced it. Some of these deciduous forest facts should be familiar to you because most people tend to live in this biome. 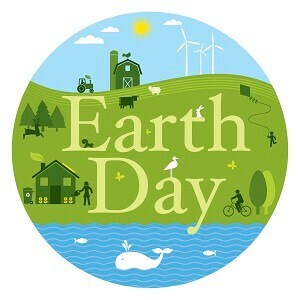 Unfortunately, this is not necessarily a good thing because human efforts can be to the detriment of the environment. People are not only a threat to the plants living in deciduous forests, but also to the many birds and animals that live there. We are, in fact, destroying our most comfortable habitat! Many animals living in deciduous forests are hunted on a regular basis. Although there are seasons in which it is legal to hunt animals such as deer and elk, one of the unfortunate deciduous forest facts is that these animals are frequently hunted illegally. This can threaten the survival of a species, and lead to the endangerment and possible extinction of certain animals. This is certainly the case for animals such as bison and elk, which have been almost completely wiped out in certain areas of this biome. One of the more worrying deciduous forest facts is that these forests continue to be cut down. This is because the trees in these forests are sought after for many materials that people use on a constant basis. Amongst other things, the trees in this biome are used for construction and firewood. In addition, deforestation occurs so that large areas of land can be cleared to make space for expanding human settlements and farmland so that more crops can be grown. Again, we are destroying the most convenient habitat for humans! Paradoxically, although there are many deciduous forest facts about threats to this biome, we actually need deciduous forests in order to survive. People tend to disregard these trees, but we depend to quite a large degree on the oxygen these forests produce for the Earth. The fact is that we need to conserve this biome and its plants and animals for our own survival, as well as the survival of this beautiful natural habitat. 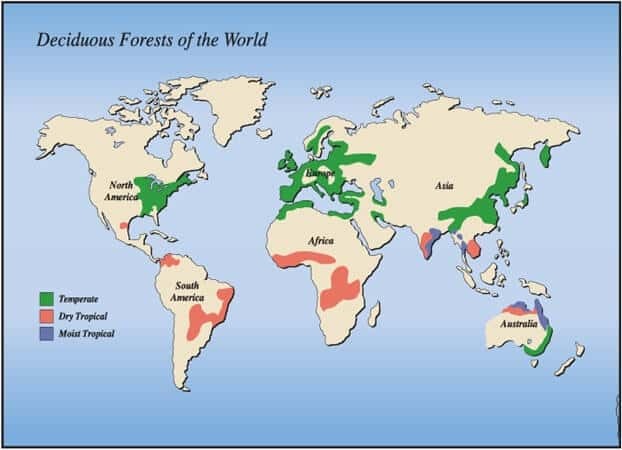 Deciduous forests exist around the world. Because they experience all four seasons, the many birds, animals and insects that live in these forests have to adapt to the changes in temperature. 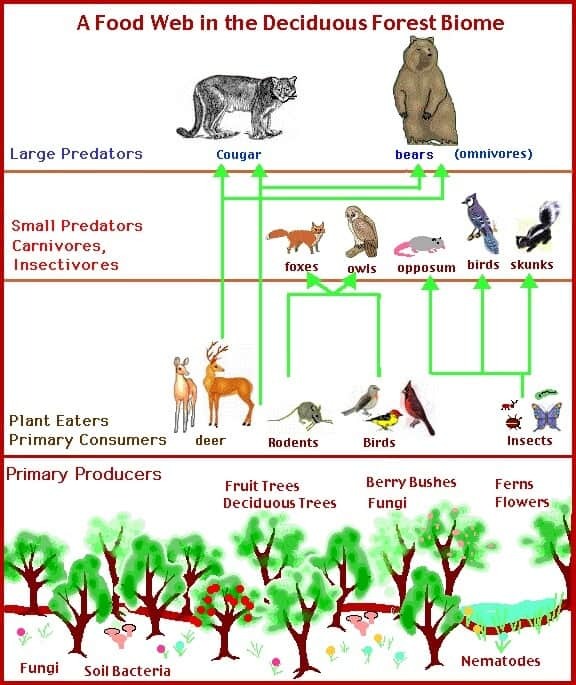 The five zones of vegetation provide an abundance of fruits and vegetables which not only provide food for animals, but humans too, as most people live in this biome. Poaching and deforestation are unfortunately threatening this habitat.